I welcome this full moon as a bridge from Winter to Spring as we await Ostara. In Virgo, the full moon calls us to take an account of where we are at, and where we want to go. Mixed in with the magic of a Spring sabbat and it's all about grounding our vision in practical details. We need a plan for where we are going. In that spirit I offer this Mind the Gap Spread for moving into new spaces with clarity. It's named for that jump/step we take to get on a bridge leading to the other side. 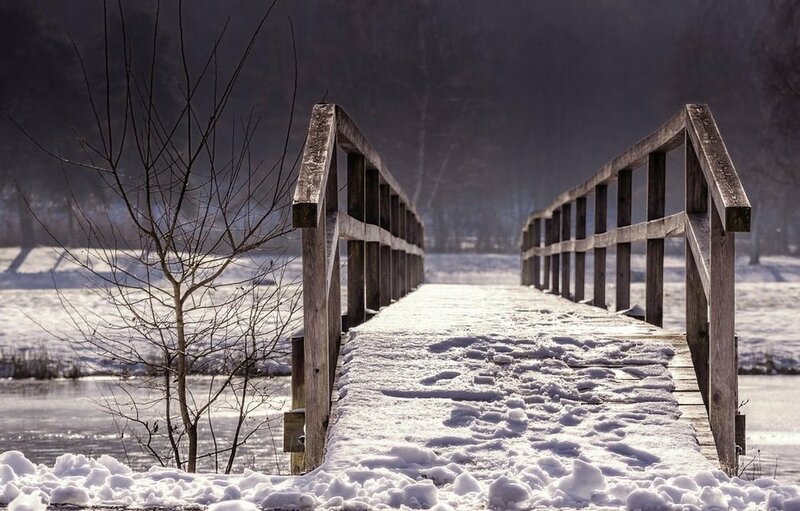 Few bridges in life are seamlessly connected to either of the shores they connect. There's almost always a space between shore and bridge- and so it is in life cycles. What is that space for you? Is it filled with doubt, uncertainty, or is it a thrill of excitement running down your spine as you approach your next destination? Whatever it is, pay attention to that space. It is giving you a glimpse into what the bridge might hide- a torrent beneath, another path, an abyss...there's a lesson there too. Particularly as not all bridges are equal, and should you fall it's always good to know what or where you are falling in to. As you step into the transition, be mindful of your movements. Those first steps lay the foundation of where you are going. The preparation you do now is absolutely vital. Let the full moon in Virgo's powered up attention detail lead you in that work. And as always, keep an eye on your goal and what it really is rather than what it is supposed to be. A lot can happen in transition and you might find that the other side looks very different up close than what it did from afar.